Combine a two – three day hike on the renowned Routeburn Track with a spectacular Milford Sound cruise. 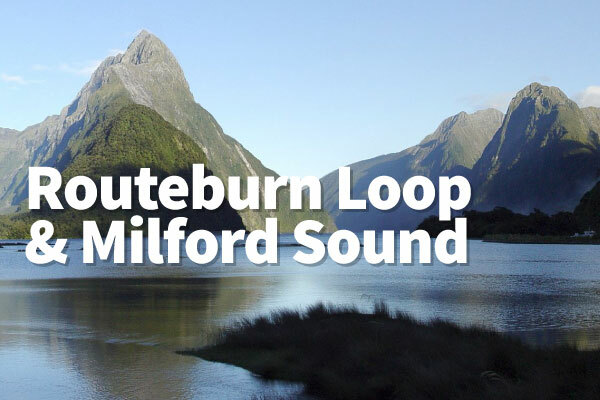 Only 45 minutes drive from the Divide Shelter at the Western end of the Track, this is the ideal way to include a excursion to Milford Sound in your tramping itinerary. During the two-hour cruise, you will travel the length of the Sound whilst listening to informative commentary. Marvel at waterfalls, seal colonies and towering peaks. Complimentary hot drinks provided. Keep your eyes out for the dolphins and penguins! Optional: $11 Picnic Lunch (sandwich, juice and slices/muffin), vegetarian and vegan options are available. 11:00 am departure from the Divide Shelter connect with the 12:30pm Milford Sound Cruise. It takes about 45 mins from the Divide to Milford Wharf. There are other departure times, please email or call us if needed.